If you landed here, you might be someone who is considering about quitting your job because the environment at work no longer feels secure or peaceful or you could be someone who already quit the job voluntarily because you could not take it anymore. Since UI benefits are usually offered to people who lose their jobs due to no fault of their own, it is only natural that you might be wondering if you are eligible or not. Here’s some happy news, unemployment benefits, in most cases, are offered to people who quit because of hostile work atmosphere! Your eligibility will depend upon the nature and extent of hostility of your work environment. In general, following cases are said to accepted as circumstances for constructively discharging you. That said, there are some other things that we need to understand. An unpleasant place of work or a difficult boss who treats you and your colleagues badly or some similar issue may not be considered as hostile environment. What we have to understand is that there is no legal rule which says that the employer must keep the employee happy. So the employer has no obligation to ensure that employees get along. Likewise, the employee can neither have the legal expectation nor right of a pleasant workplace. Minor disagreements with superiors or co-workers, differences in opinion hardly count as hostile work environment. We are not say that you should not leave the job, you may if the atmosphere is difficult for you, but, you may not receive any benefits in a situation like this. Approach an unemployment attorney to know for sure whether you are eligible or not. Once you file for UI benefits, the unemployment department will conduct a probe into the circumstances that lead to your job separation. The officials then compare your statement regarding the work environment and what they found out during the probe to determine the genuineness of the case. What can I do to prove my side and fight hostile environment at work? 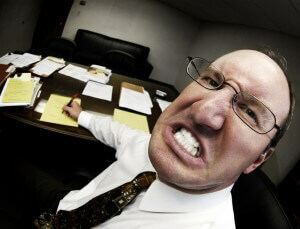 Proving that your work atmosphere was indeed hostile is not a very easy task. Especially if you are the only one who was picked on. But there are certain things that you can do to aid your claim. 1. Document everything: Keep a journal, carry an audio recorder, create backups of online content or hate mails. In short, whatever you can document and save, do it. While documenting, make sure that you record the date and time as well. 2. Talk to someone: If there is anyone you can trust at work, tell them about the problem. It could be your boss, your co-worker, someone at human resources or even the janitor. Tell someone about it. During the probe by the UI dept., if they learn that nobody knows about the fact that you were harassed, it may render you ineligible for UI benefits. 3. Keep track of your complaints: Use e-mails or any other form of recordable method while submitting your complaints. This can later prove to be useful. 4. Don’t quit your job right away: Unless you are in imminent danger, don’t quit immediately. If you really need UI benefits, try to avoid quitting immediately after the hostility begins. Stay back until you have sufficient evidence to prove to the UI authorities. The most important thing is to ensure your safety, especially if the hostility is physical in nature. Keep your friends and family informed, have someone ready to raise an alarm if needed. If you cannot continue anymore, take some time off from work and collect your thoughts. We understand that a hostile work environment is one of the most difficult situations a person can face. Try to remain calm and composed. Apply for another job, spend quality time with your friends and family and follow the steps we discussed here. We sincerely hope that everything will get better for you and we shall always be here to help you. Use our discussion forums to clear your doubts and concerns. If you found this useful, share it with others who might be facing difficulties at work too. Together, let’s help the victims of workplace bullying and harassment. Good Luck!! If you have questions, please post it on our discussion forum.